That's reason enough for me to book my trip! Who doesn’t look forward to the so much anticipated vacation that would let you relax your mind and body? I am sure most of you nod your head in approval as you read this question. And as many people can choose the place where they take a break from the everyday commitments, the tight schedules, and the stressful job, dog owners don’t really get that opportunity. Why, you wonder? Because not every hotel is pet friendly, and what kind of vacation would it be if you have to leave your furry pal behind? Luckily, there are fancy hotels that are more than happy to provide the perfect stay both for you and your pet. One such place is The St. Regis Aspen Resort. This hotel has luxurious restaurants, spas, suites with custom leather beds and marble bathrooms, and something very unique, their own dog. 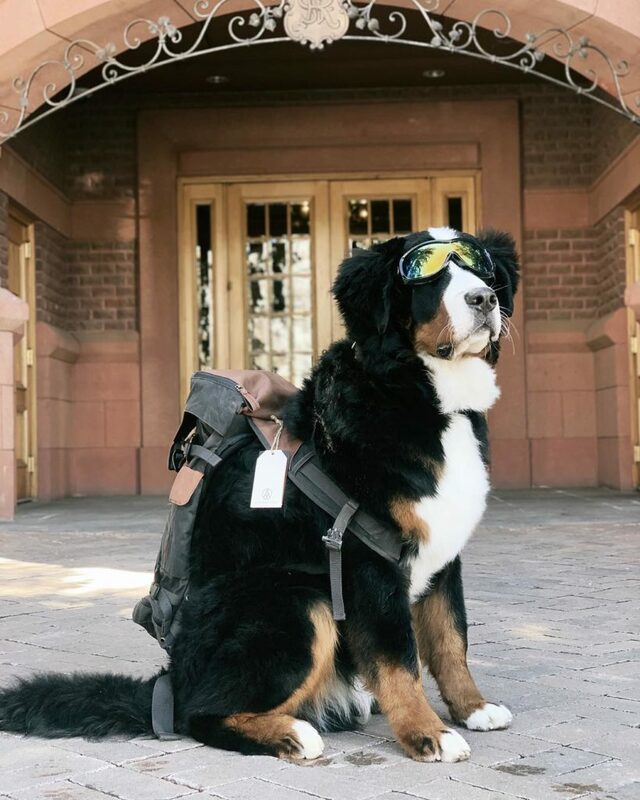 If you decide to pay this hotel a visit, you are very likely to be welcomed and greeted by the Bernese Mountain dog named Kitty Jacob Astor IV. What a great name for a dog. It does resemble that of the royalty members. Actually, sweet Kitty was named after the founder of the hotel, John Jacob Astor IV who owned a cat named Kitty. The moment Kitty Jacob Astor IV was born back in 2018, the staff and the hotel owners knew he belonged there, so they made him a permanent resident. This dog is very intelligent and talented. Well, when you think about it, he’s also sort of a celebrity as he’s got lots of followers on Instagram. If you want to see his antics that steal people’s hearts everywhere maybe you should give him a follow too. 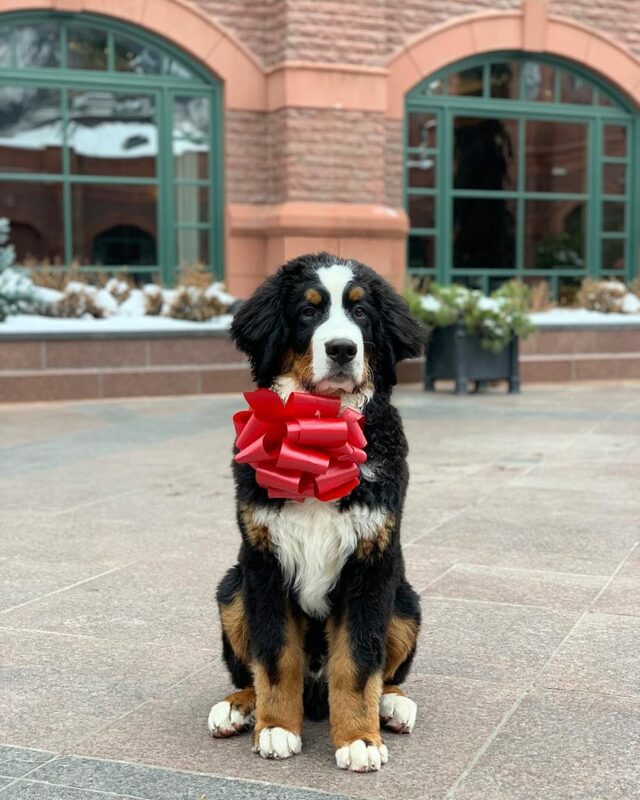 St. Regis Aspen Resort will make your stay pleasant offering a bunch of amenities for your dog, such as dog hiking vests, dog booties, carriers, and many more. This way, hiking with your four legged companion would be even more enjoyable. You do need to pay certain amount of money if you decide to bring your dog with you, but that’s not much compared to the fun you will have. If you want some time just for yourself, the hotel will take care of your dog and fill their day with fun activities such as walking, playing, and dog sitting. It looks like St. Regis Aspen Resort is the perfect place. Meet Sasha, A Small Pit bull Puppy Who Has An Incredible Fighting Spirit.